There are many label widget designs that has been around the blogosphere, since before we see a lot of colorful labels from other blogs, one example is my previews post designing your labels with Simple Elegant buttons that is to give you options of stylish labels widget. Style is essential in blogging and you can compel readers to read more and look back to your blog because of how you make it presentable for him. You should be particular with what you put in your blog in order for it to look professional. 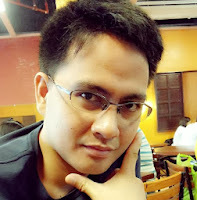 Remember that there are so many readers out there who are seeking for the right information and though your blog has this stuff, there are instances when he will not read it or if he does, he will not enjoy. This simple elegant button for bloggers is not that enough to be used in order to assure the success of the blog but it can be a way to engage readers, believe me, it does. Upon reading this article, may you have what it takes to be able to design your blog with this widget that will bring you a lot of good things in blogging. And another thing, you will also love your pages. 1. 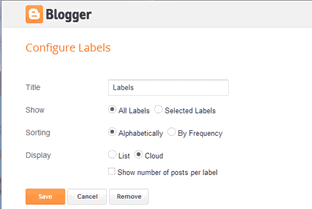 Go To Blogger Dashboard-> Your blog-> Layout-> Add a Gadget -> Labels. 2. Now make the settings which are shown in the screenshot below. 3. Select the Cloud from the labels display setting. 4. Uncheck the Show number of post per label. 5. save it by pressing orange button. 2. Find the following code in your HTML. 4. Save and Check your blogs now. Your welcome, my pleasure to share, don't forget to see all other customized widgets posted in my blog. See you around.